I salute you dear Children. At the beginning of this New Year, I am addressing myself to the part of you that is thirsty for Light and Love. In the center of your heart, there is a burning chalice, the one that is fed by the Great Life. This chalice is in need of your attention and your love so that its heat and its potent fire can envelop and transform you. Yes, the energies are present. Yes, Mother Earth is accelerating her vibrational frequency and yes, Love will reign in this world. There are many affirmatives that are supporting you and yet….what are you still missing my dear children, before you can feel that you have the power to walk on water and to manifest your dreams in this world? What is missing is this ardent flame, this love of life, this admiration in front of the magic of life that is unfolding all around you. In 2018, you will need this burning chalice to welcome with grace the winds of change that will blow on you and all around you. In 2018 you will need this ardent flame to welcome with grace the winds of change that will blow over you and your world. You are invited to nurture this inextinguishable flame within your heart, the flame of your faith and of your determination. While reading these words, do you feel the living embers of Life in you or do you feel the cold of the ashes too long cooled from lack of fire? You have accumulated a lot of experiences, made a lot of choices up until this day. Choose the effervescence of Life, of Faith, of Courage and of Determination. Maintain the ardent fires of your dreams, of your hopes, knowing that you are for all eternity, guided by the infinite love of the One Source. Nothing has been left to hazard in your life: your lessons, your challenges, your choices, all of this has been prepared and planned with great Love. You are the magnificent project for which you have been born. In 2018, I invite you to realize that all this is around you has only one function: to help you to discover the beauty you hold within you and the power that resides within you. I now repeat to you: you ARE the goal of your incarnation, the ultimate goal, all the rest is but accessory. Do not allow exterior events to extinguish the fires of your Life. Maintain this living link that unites you to the Great Life with awareness. Have faith and move forward with an unshakable faith. With Infinite Love, I AM Adama, your brother. The Love-light is alive and active when it is transmitted with intention and will. When you transmit it in consciousness in order to communicate with an object or a situation, your consciousness encompasses this object or situation and it is now part of your consciousness and you become one. You are always your own consciousness, but you have widened the action field of your consciousness to include and come into contact with an external energy that can be near or further away. This is done in order to come into contact with yourself, your individual consciousness. Love-light is a way to get acquainted with the universe and to become known by another part/person/being in the Universe. It is the heart that makes contact with another heart and that allows the contact, the understanding, the exchange. Your energetic signature is in this love-light, which is the reflection of who you are in all your aspects. It is the fusion of the life energies that come into contact and learn. The consciousness of Mother Earth includes her whole body, the bodies of its inhabitants, and even more. To make a true contact with another person, make it a habit to surround the person with your love-light and you will see a considerable difference in the behaviour of people. Everyone feels what a person transmits to someone else, either consciously or not. The person does not know this consciously, but the soul feels it. The Flames represent a frequency of love-light, as love always favours the blossoming of consciousness, of life, and of all that is in balance. A quality is an energy frequency that is in harmony. A non-quality is an energy frequency out of balance. Love is a frequency always in balance and so all that is in its field of action finds itself in the same balance, which consequently creates beauty and harmony.What is in unbalance cannot create beauty. Today, I am accompanied by Aurelia and Ahnahmar. My dear children, do you feel the call of Freedom? I invite you to listen to the sweet song of Freedom that is now sweeping on the surface of the Earth. This song left the Earth when Lemuria disappeared. A period of withdrawal was necessary to allow the emergence of great values in consciousness. Indeed, being on your own, you had to learn to turn your eyes and your attention toward your essence, your own feelings. The lack of freedom and the manipulation made you travel through unsuspected avenues of non-love in density. These emotions, this suffering caused you to seek, to question yourself, to get yourself out of the numbness of unconsciousness. This Freedom, my children, is an energy, a consciousness that has unfolded over the entire Earth and completely covers it now. I invite you to open your heart to this energy and let it transform you. Freedom allows you to perceive in a very different way the reality surrounding you. I give you an example: imagine a bird in a large cage; it moves in this confined area all its life and the cage delimits its living space and its travels. Its view of life is limited to what he could and would want to experiment from this cage. The bird sees an unattainable world, an unreachable dream through the bars. The energy of Freedom surrounding Earth currently is in the process of dissolving the bars of the 3D cage which has, until today, limited all aspects of your life. Without you being aware of it, Freedom is altering your perceptions and your inner feelings. Some days, you get up in the morning and you feel that there is something different in the energy around you. There is something different in the way you feel about yourself and in the way you feel about everything that is around you. You feel different but you cannot put words on this sensation. There is something different yet nothing has changed around you. So, what has changed? It is you who has changed from within. Freedom is in the process of dissolving the limitations and the energy preventing you to feel from the inside. You are changing. You are transforming each day my beloved ones. I invite you to consciously meditate with this energy of Freedom that is participating in the awakening of humanity. True Freedom is returning to Earth and it is a blessing that comes to soothe the heart of the children of the Source. Invite it; visualize it acting inside your heart, transforming you and opening doors to the true Life, the one that wants you happy and free. While feeling that energy within you, imagine yourself discovering new horizons; imagine yourself seeing and feeing life differently. Feel the emotion alive in you. It will open wide the doors of a new reality that has always been present, but that you could never perceive. Create this adventure for yourself. You will never regret it. 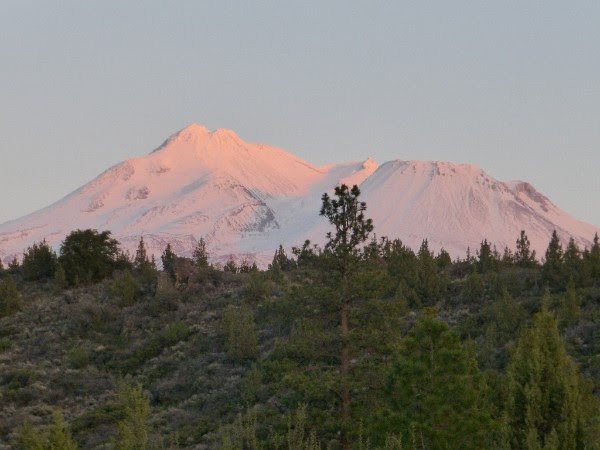 Adama’s message was given during an Initiatic Journey in Mount Shasta, August 2012.